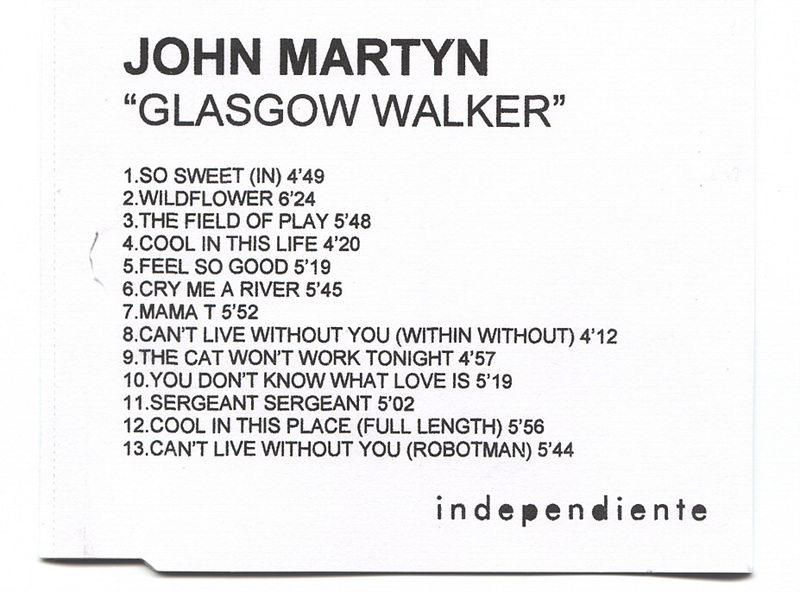 Very rare copy of what is most likely an internal record company CD with alternative remixes of some of John’s songs thatdid not appear on the final release of Glasgow Walker. Sergeant Sergeant, Cool In This Place (Full Length) and Can’t Live Without You (Robotman). Printed plain white record company card sleeve and injet printed CD. Difficult to date but around 1 February 2000.